It’s perfection, everything I look for in a bag. Structure, classic, timeless, and fast becoming a classic which means it most likely will hold its value if you tire of it and want to sell it on. Now let’s get down to the nitty gritty its £1790 *a lot of money* Lets take one more look at it with the strap…. 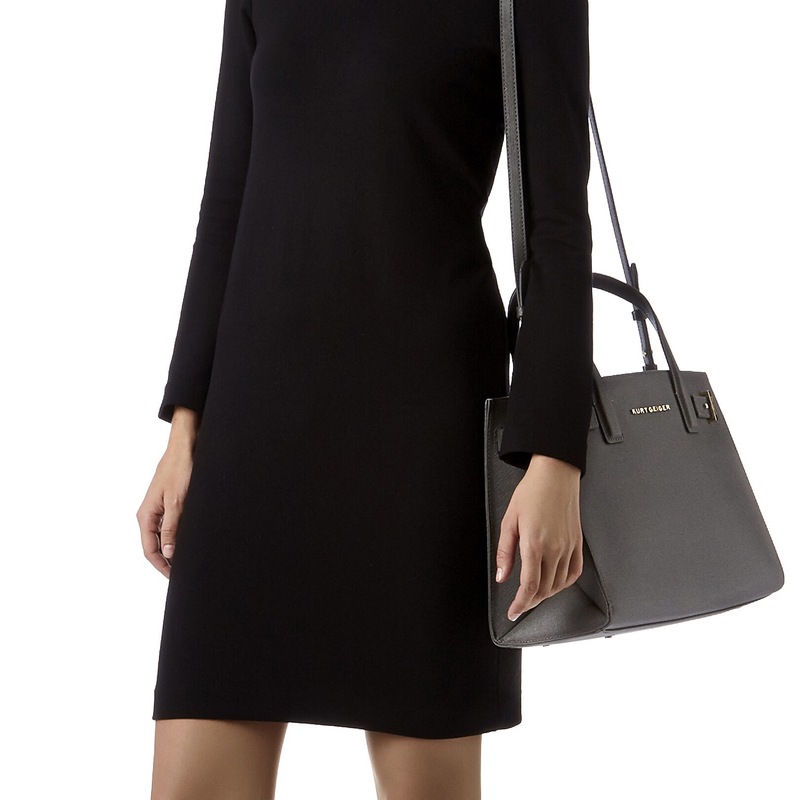 Although this bag, is still on my wish list (it’s out in the universe now) I may have found a bag, equally as purdy, and in a similar colour in Saffiano leather eeeek. Kurt Geiger have designed a bag almost identical, with the same structure and colour. 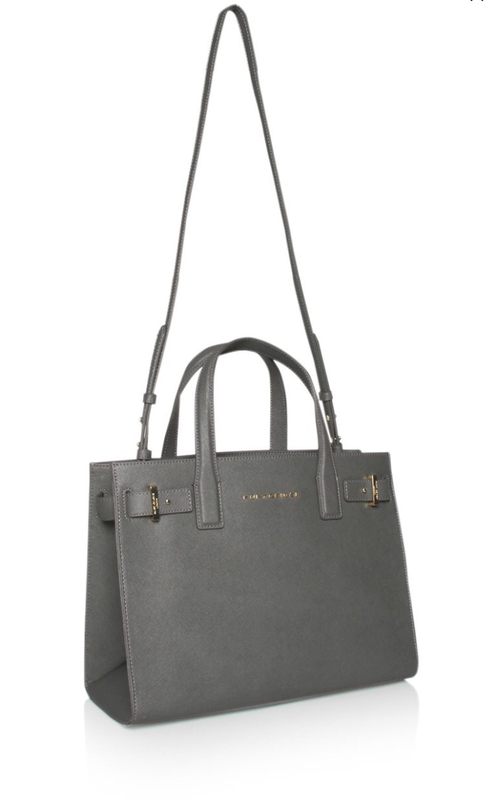 Kurt Geiger London Tote in Saffiano leather. 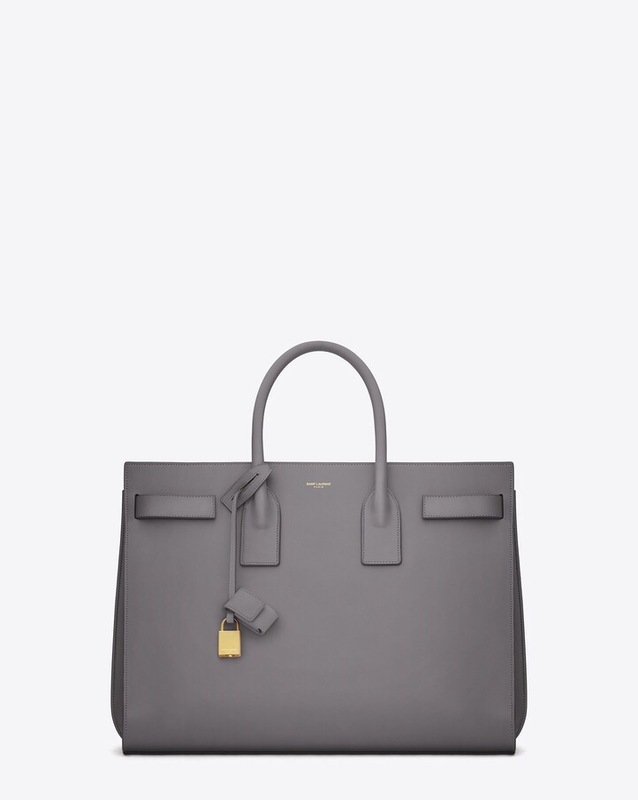 This Kurt Geiger London Tote retails at £225, for saffiano leather that’s not a bad price (I understand not everyone can afford this ) I’ve got away from fast fashion, and would rather have a few classic bags than 200 cheap bags that go out of fashion by the following season. Also it’s better for the environment and means you can streamline your wardrobe and these leather bags can take a bit of abuse and still maintain they’re shape; of course they’re timeless classics too. So there you have it, whilst the YSL Sac Du Jour is fabilis, the Kurt Geiger London Tote is giving it a run for its money!